The Blue Whale on Route 66 in Catoosa, OK. 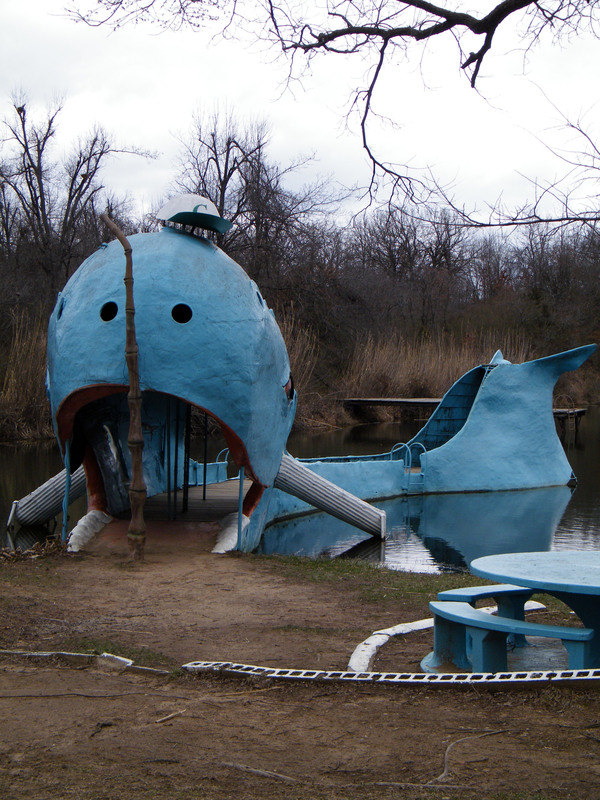 The Blue Whale is located on Route 66 about a mile east of Catoosa, Oklahoma. Built in the 1970’s by Hugh Davis, it was built as an anniversary gift for his wife, and soon became a popular swimming hole and petting zoo. Today the whale is a staple roadside attraction for any Route 66 enthusiasts. You can stop by and see the whale any day of the week from 8:00AM until dark. Today the whale still boasts restrooms, picnic tables, and a snack and souvenir shop.